Yes, it's a Mini. Yes, it's a crossover. Yes, it makes sense. Whether we like it or not, even niche automakers are expanding their lineups to appeal to a broader range of shoppers. 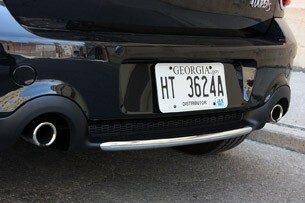 This may seem like automotive blasphemy, but think back a few years ago when Porsche introduced the Cayenne. 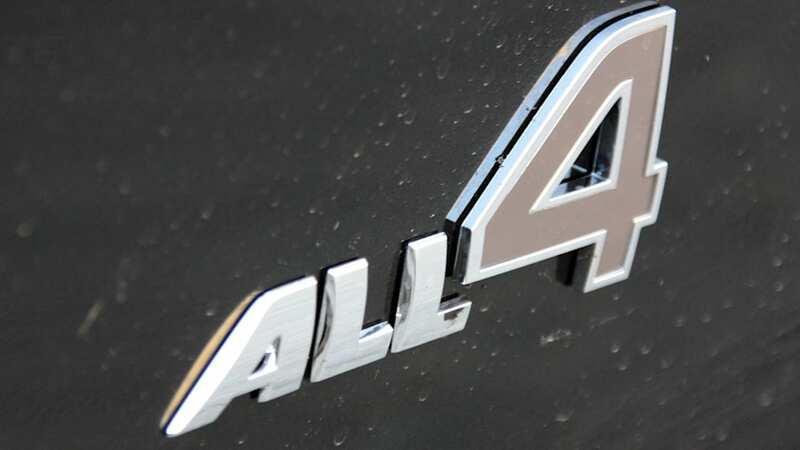 We all threw temper tantrums and hugged our 911s, but now we begrudgingly accept that, as far as SUVs go, the Cayenne is pretty damn good and has been the brand's #1 selling model since day one. 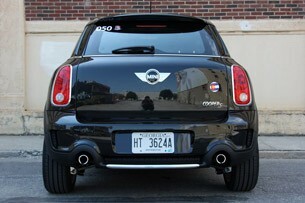 So in comparison, adding the 2011 Countryman to the Mini lineup isn't nearly as big of a culture shock. 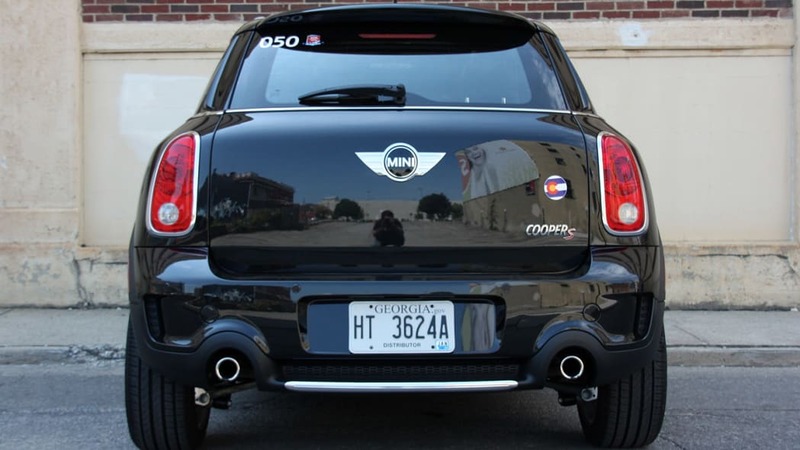 In an effort to show Mini owners and enthusiasts that the Countryman is indeed worthy of a Cooper badge, the automaker brought a few of the new crossovers out on its 2010 Mini Takes The States cross-country road rally. 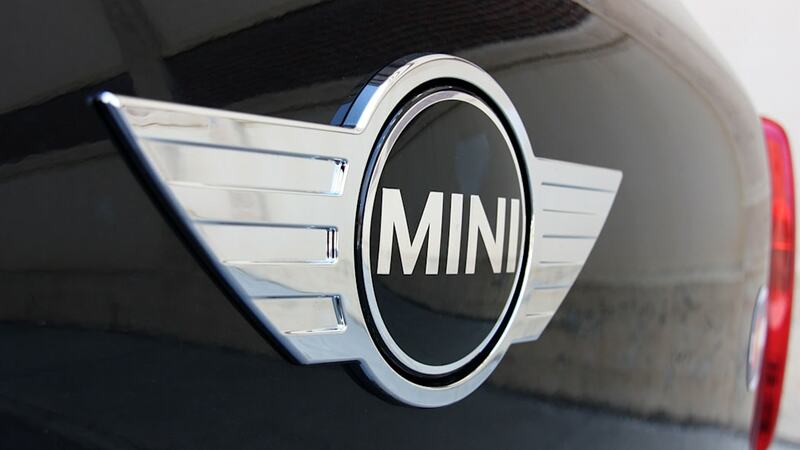 Mini is wholly confident that people will be impressed with what the Countryman has to offer, not only with functionality, but with driving dynamics, as well. We saddled up to find out for ourselves. 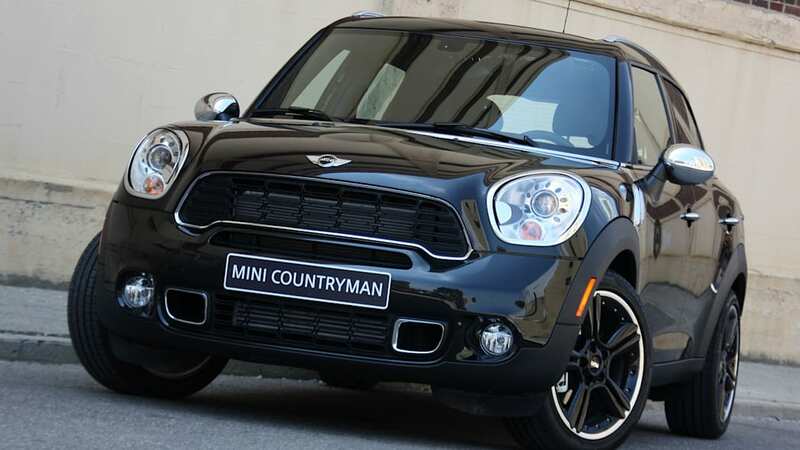 Before we get to the meat and potatoes, it's important to point out that the Countryman isn't as gargantuan as everyone seems to think. 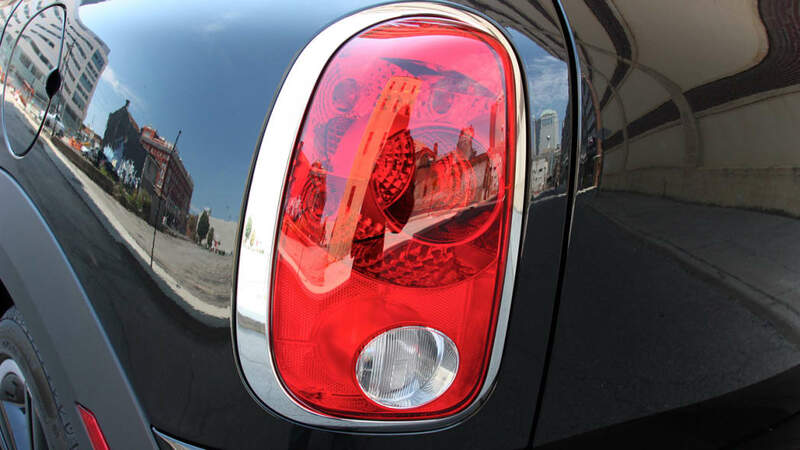 Compared to the smaller Clubman, the Countryman is six inches longer, 4.1 inches wider, 5.1 inches taller and rides on a 1.9-inch longer wheelbase. 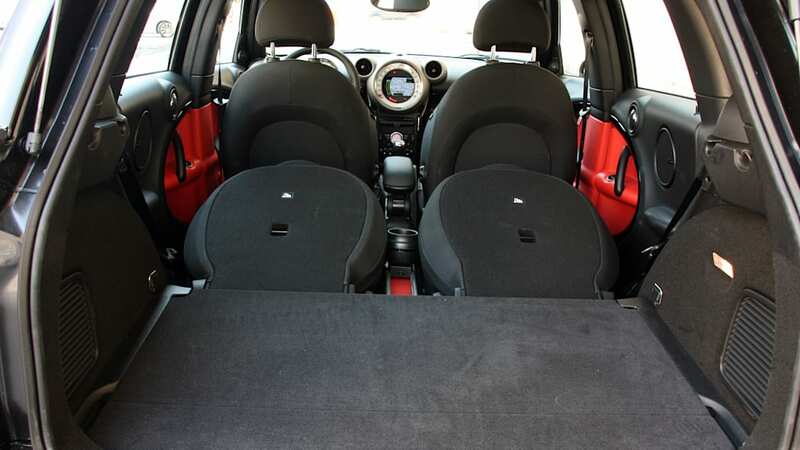 Yes, it's big – for a Mini – but the overall dimensions are close to that of the Nissan Versa, and we've never had trouble putting one of those in a compact-only parking space. 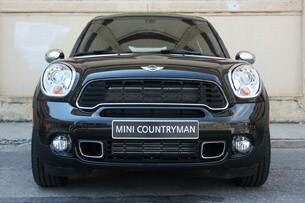 Still, Mini purists can rest easy knowing that there aren't any plans to create larger versions of the Countryman anytime soon. 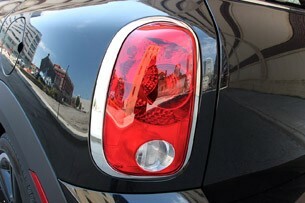 We spoke extensively with Mini USA's vice president, Jim McDowell, and he assured us that this will be the biggest Mini that we'll see. 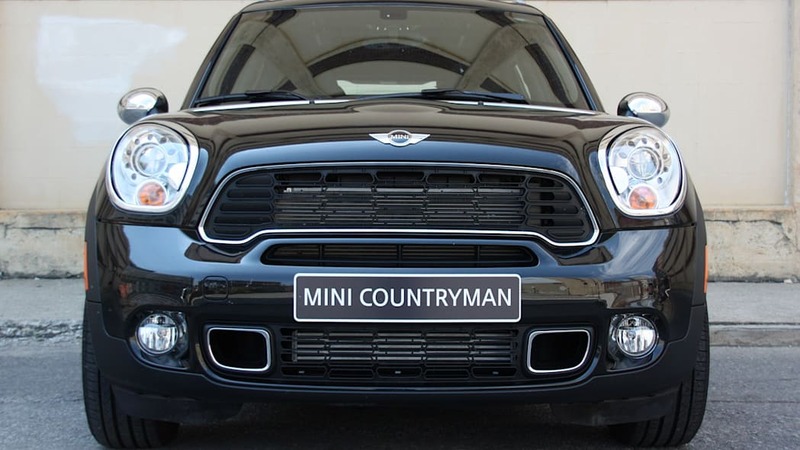 As far as design goes, you'd better get used to what you see on the Countryman, since the revised styling is likely to trickle down to the rest of the Mini range in the next few years. 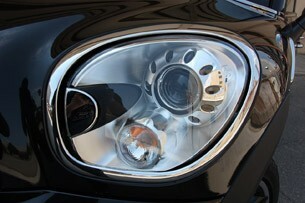 The front fascia ditches the cutesy appeal of the current Cooper in favor of a more aggressive, bulgy stance. Yes, it's snarling at you. 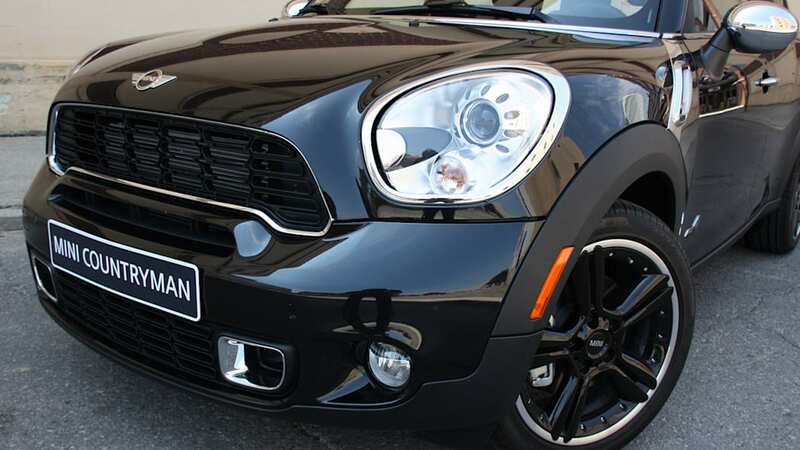 Base Countryman models use a chrome-striped grille that's substantially less angry, and we think the majority of buyers will prefer this treatment. 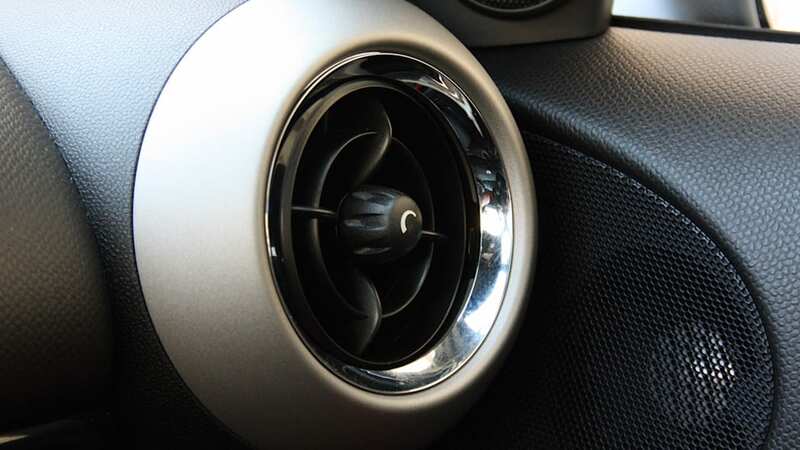 Not us, though, we grew to rather like the growling "don't call me fat" face of our Countryman S All4 tester, and if you want turbocharged power or all-wheel drive, you'd better grow to like it, too. 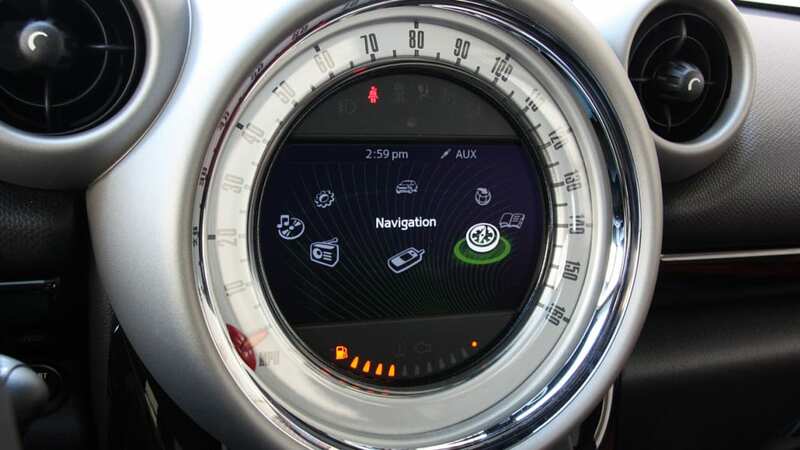 Things are quite a bit calmer around the other side of the Countryman, with little bits of visual flare here and there, enough to draw interest and keep things funky. 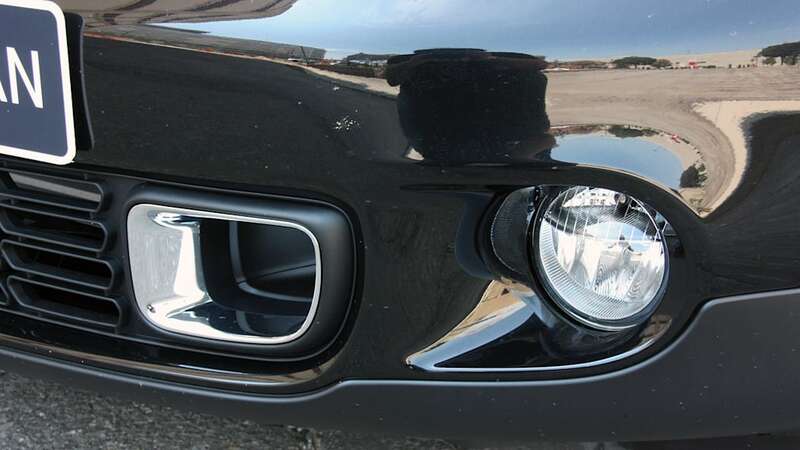 Chrome isn't always our favorite piece of accent material, but we like the strip that covers the side vents, and the downward-sloping roofline draws your eye to the rear, where the cargo compartment side windows aren't quite as tall as the ones in the passenger area. 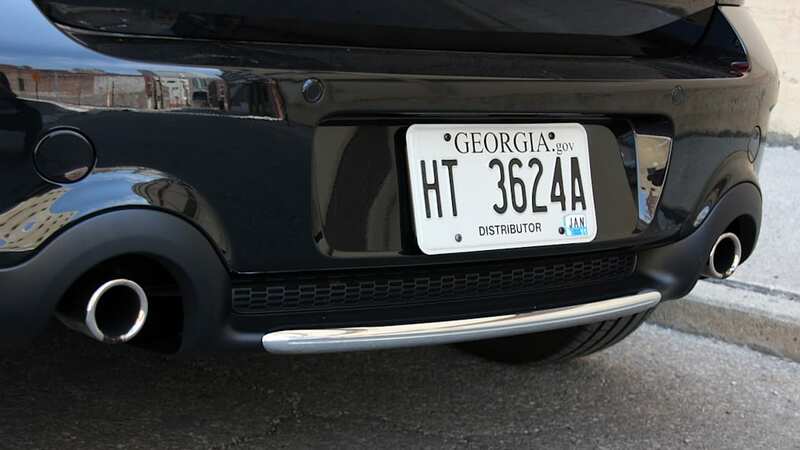 The rear is clean and simple with nicely integrated dual exhaust tips and a large Mini logo that also serves as the hatch-opening handle (à la Volkswagen Golf). 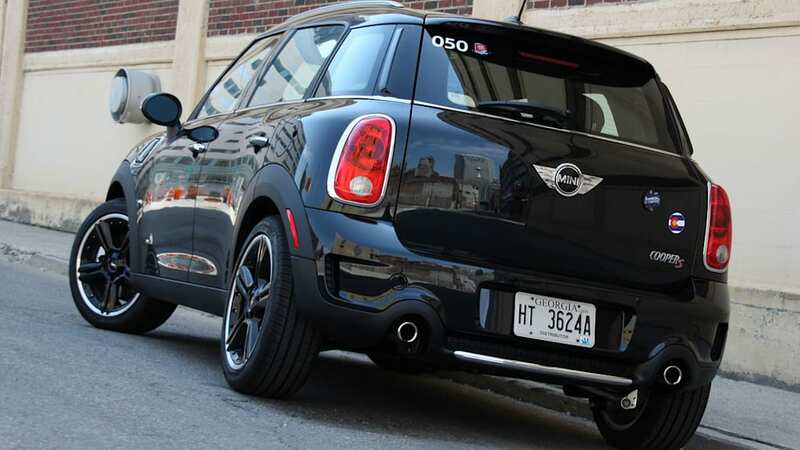 We're glad that Mini opted to use a standard liftgate on the Countryman as opposed to the dual barn doors on the Clubman. It's better for loading and visibility, not to mention design cleanliness. 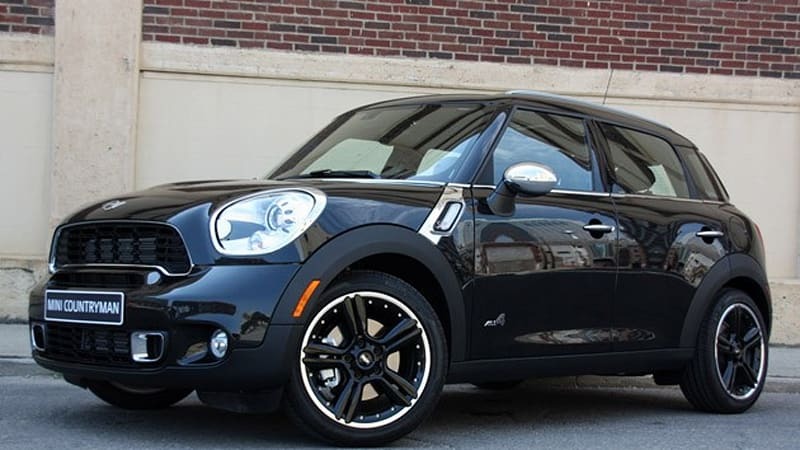 We're told that the Countryman will be available in countless configurations, much like the rest of the model range, but we're particularly fond of our tester's all-black setup with the sharp black alloy wheels. Still, contrasting roof colors, a variety of wheels and other goodies will all be on hand, and we can't wait to see what eccentric Countrymen (Countrymans?) look like out on the road. 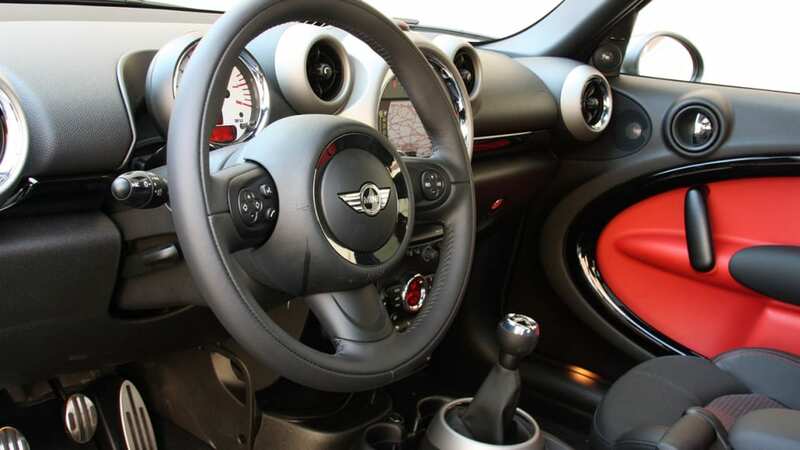 Much like the exterior, the Countryman's interior design will soon be standard fare for all Mini products, and we again like what we see, even in not-quite-final-build spec. 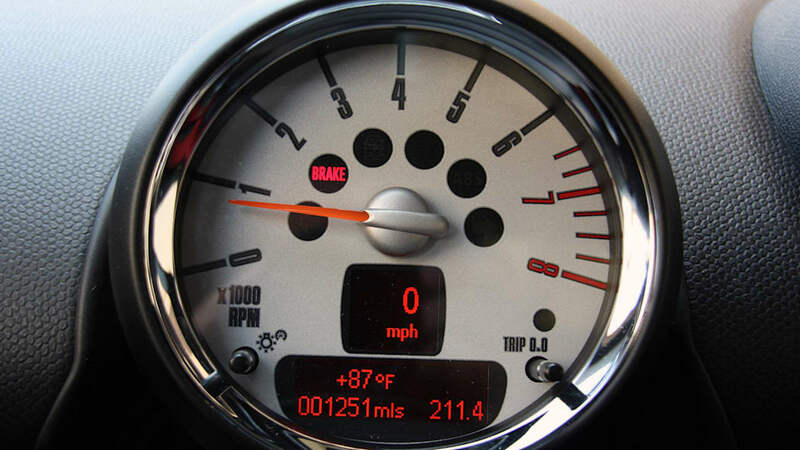 The big speedometer is still intact (it actually looks like its grown in size), incorporating Mini's navigation and infotainment screen, while the center stack has only been touched up, not completely redesigned. 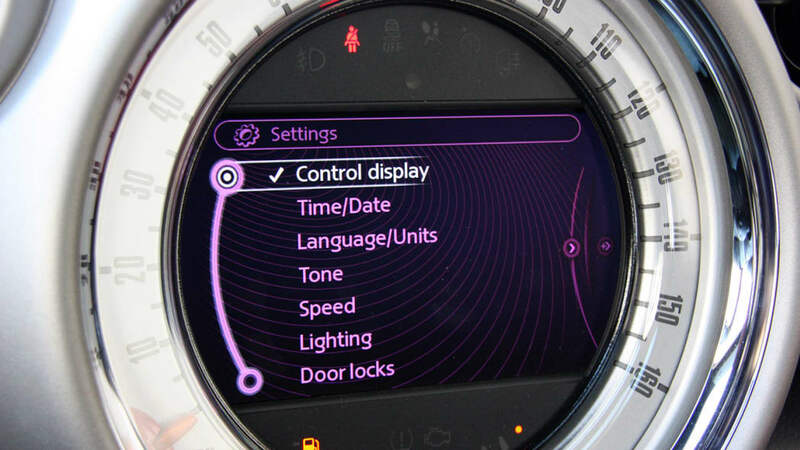 Step out of a 2010 Cooper and into a 2011 Countryman and you'll still know where all of the controls are and things will feel largely the same. The only major difference is the noticeably higher seating position, but it takes a matter of milliseconds to get used to the higher perch. 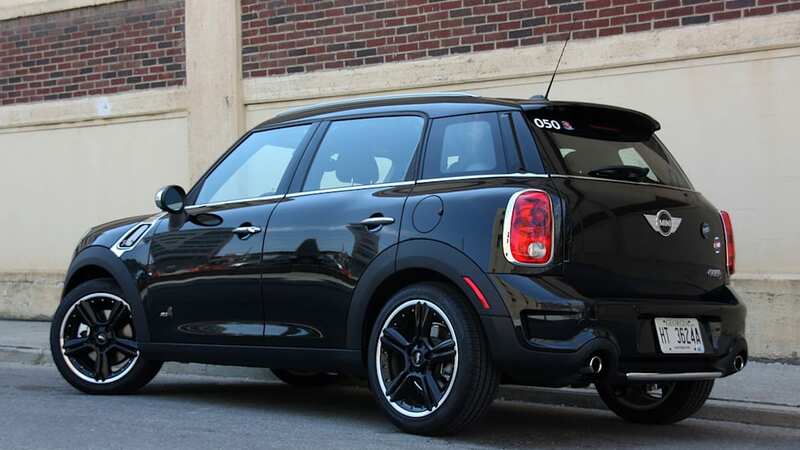 Overall fit and finish is on par with what you'd expect in a Mini. 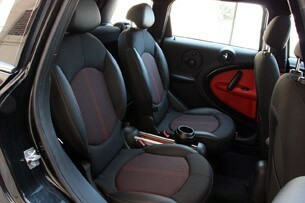 No drastic changes have been made to the major touchable surfaces and the seats remain comfortable and supportive. 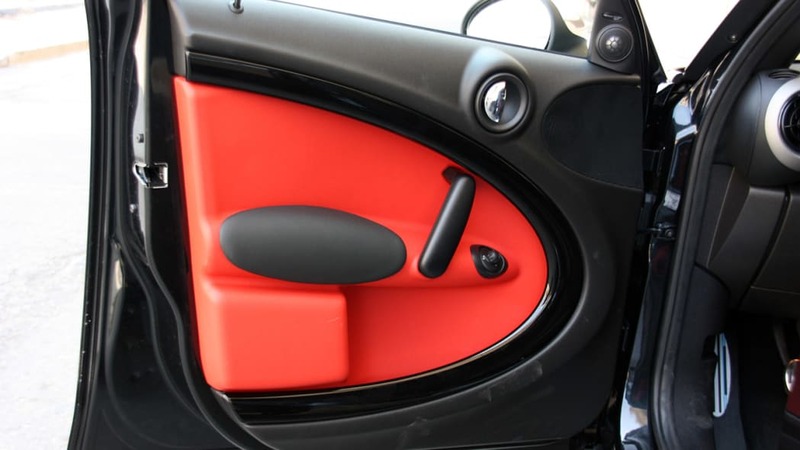 The standard Mini toggle switches still continue to amuse and confuse, but we're happy the interior refinement has largely been left alone. 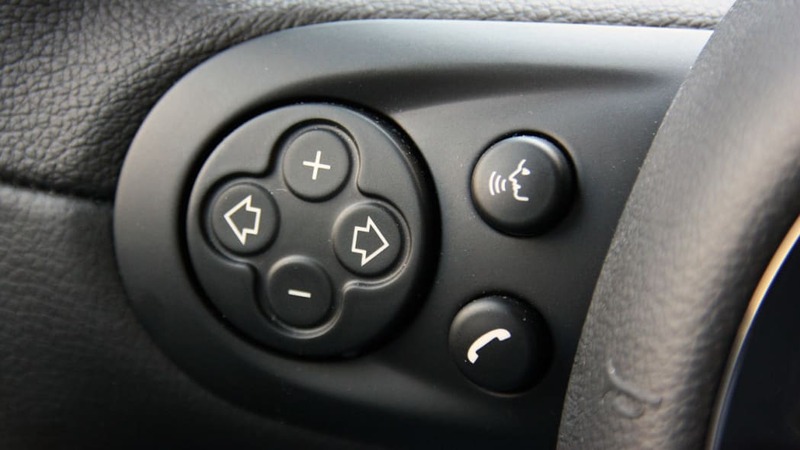 We never really had major complaints before – save minor things like the placement of the audio volume controls – and we don't have any new ones to speak of. 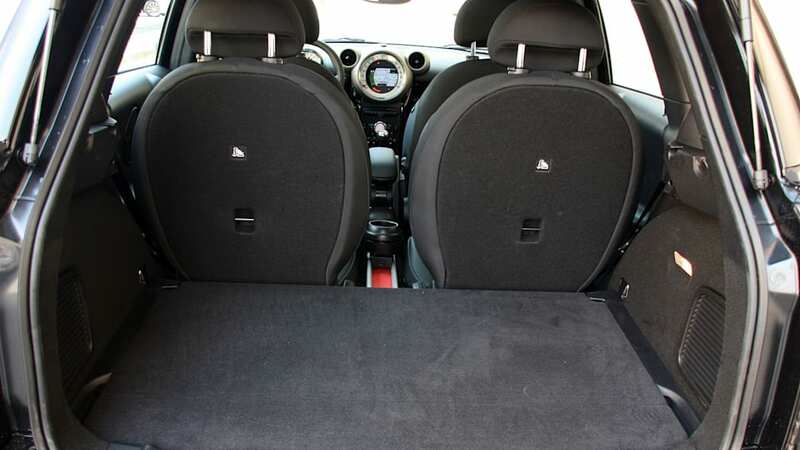 Instead, there's a wealth of newfound elbow room and headroom, thanks to the substantial increase in width and height over the rest of the Mini range. 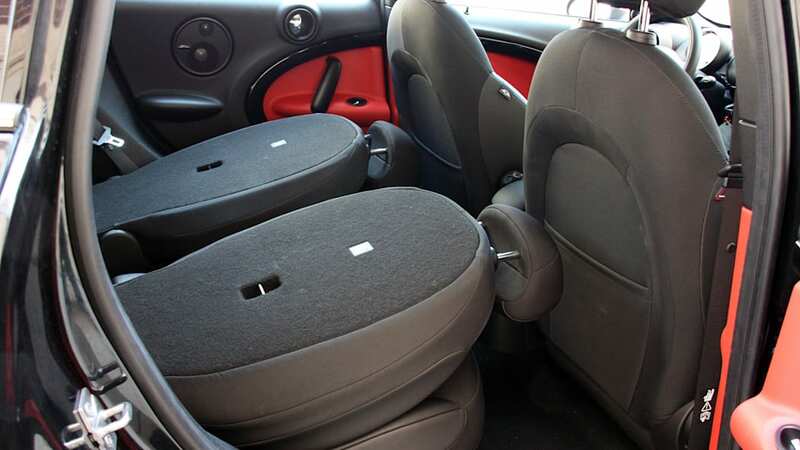 For the United States, only one rear seat configuration will be offered: two bucket seats with a sliding track down the middle that can be configured to house either a cup holder or armrest. 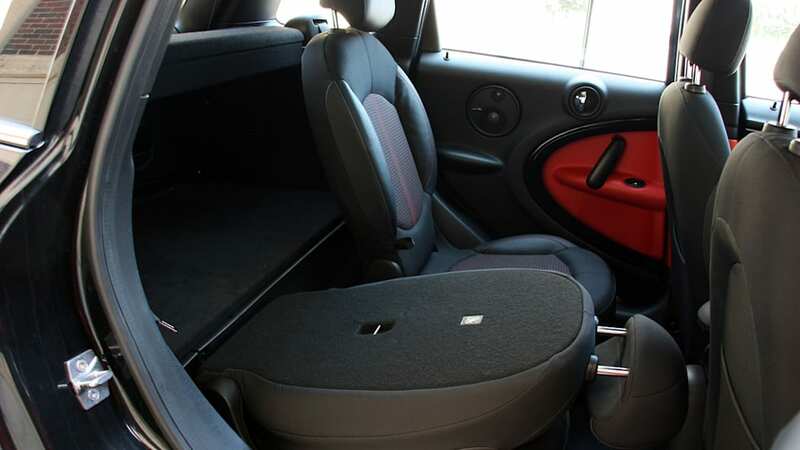 There's plenty of legroom and headroom for rear seat passengers, and the seats can be moved forward or backward, as well as recline or fold forward. Sure, things will feel cramped for people of great stature, but the majority of small crossovers aren't very pleasant for people over the six-foot-three mark. 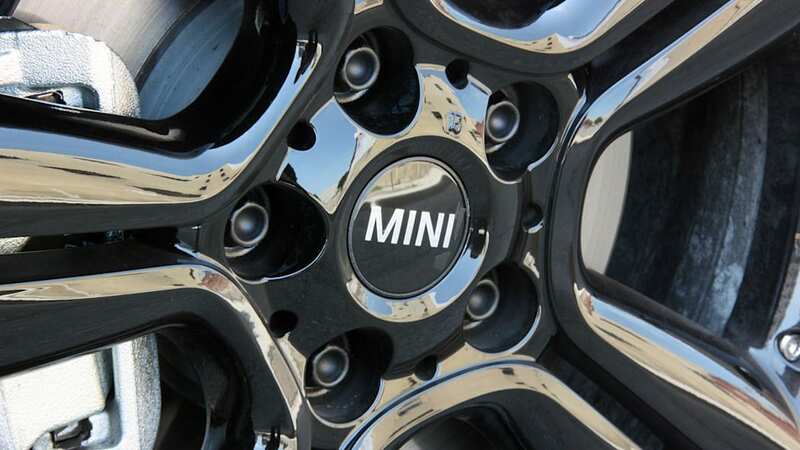 Besides, it's a Mini. 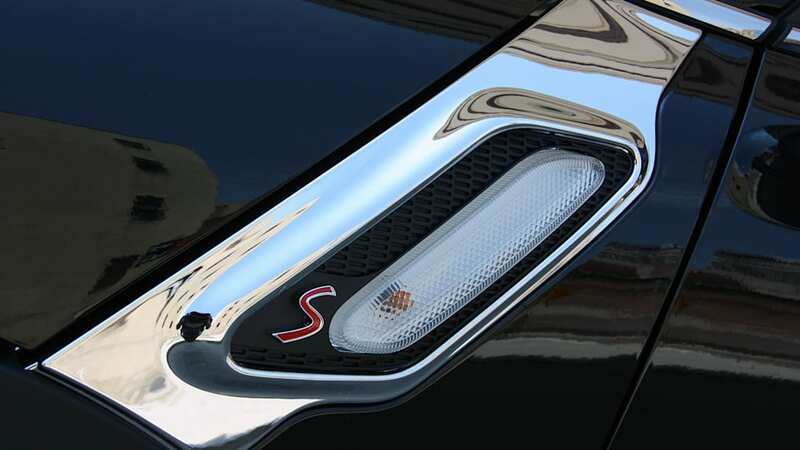 The badge alone doesn't even speak to spaciousness. 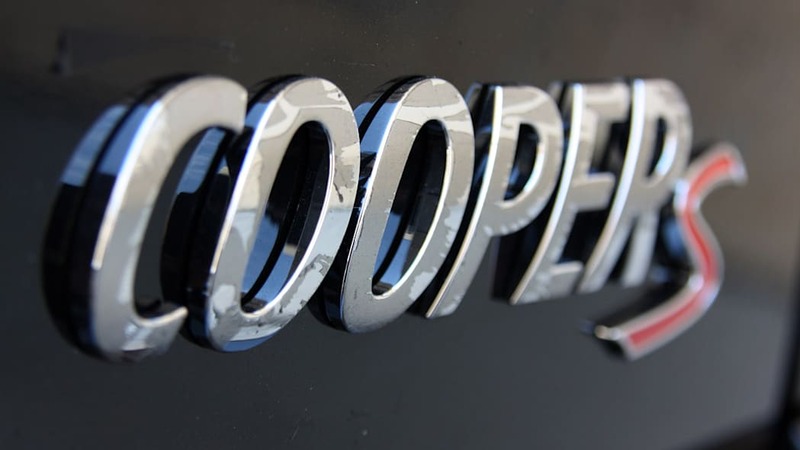 When the Countryman goes on sale in the U.S. early next year, it will be offered in Cooper and Cooper S designations, the former using a naturally aspirated 1.6-liter four-cylinder engine and the latter adding a turbocharger to the small-displacement four-pot. These are essentially reworked versions of the mills currently found in the North American Mini range, though output numbers have been increased very slightly. 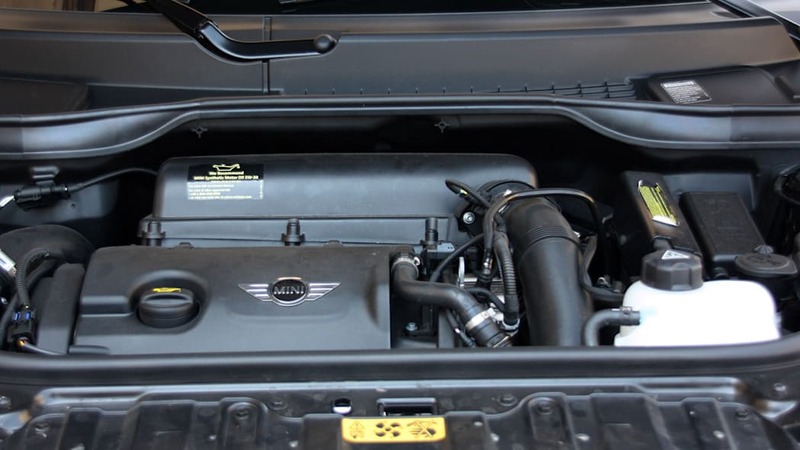 Base engine output is now rated at 121 horsepower and 118 pound-feet of torque and the turbo mill now cranks out 181 hp and 177 lb-ft with an overboost feature that allows for 192 lb-ft to be available as early as 1,700 rpm. 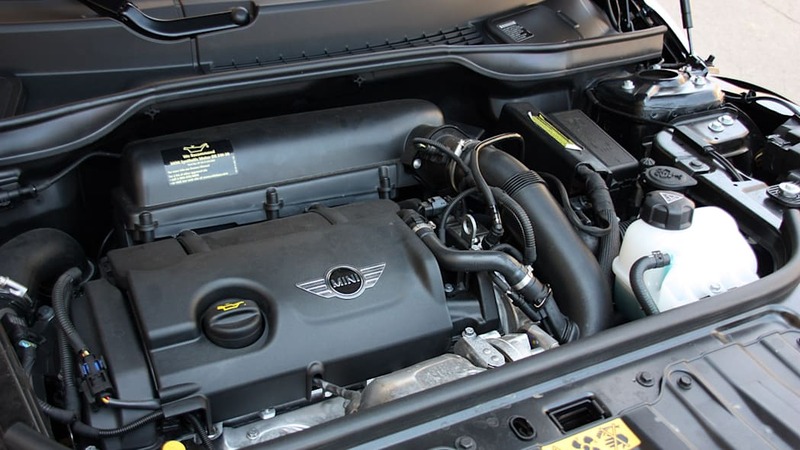 It's a good thing that the Countryman S has this extra power, though, since our loaded-up test car with All4 all-wheel drive weighed in at 3,042 pounds. 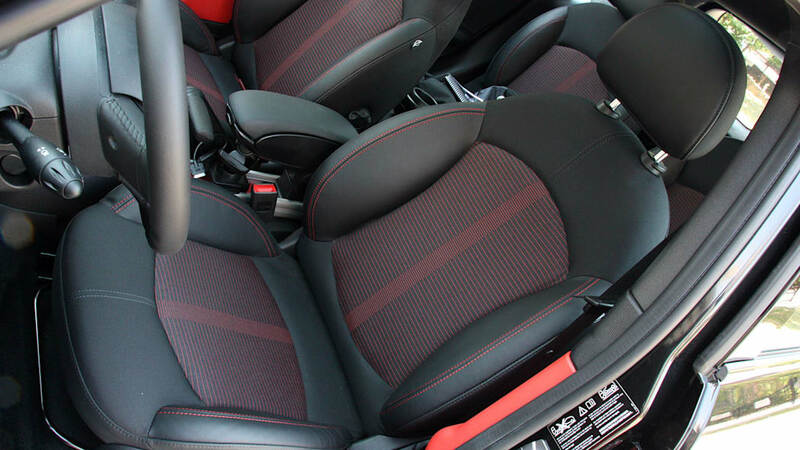 That's not trim and slim by any means, but the engine still feels quite lively. 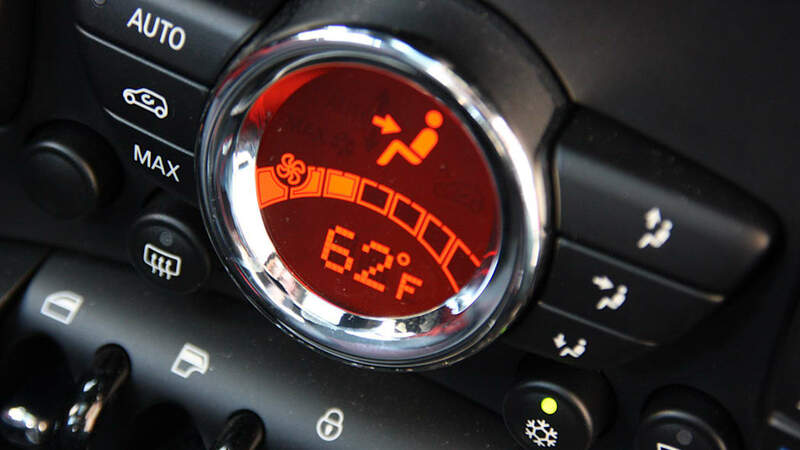 Mated to a six-speed manual transmission (an automatic is available), AWD models will hit 62 miles per hour in 7.9 seconds, and if you opt for the two-wheel-drive configuration, you'll shave three-tenths of a second off that time. 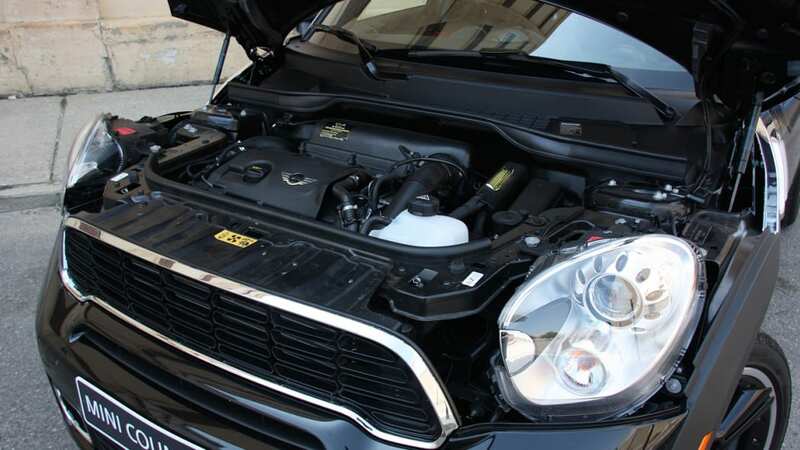 We've become very accustomed to the turbocharged Mini drivetrain over the past few years, and while the Countryman does feel heavier and more sluggish off the line, it's still plenty playful at speed. 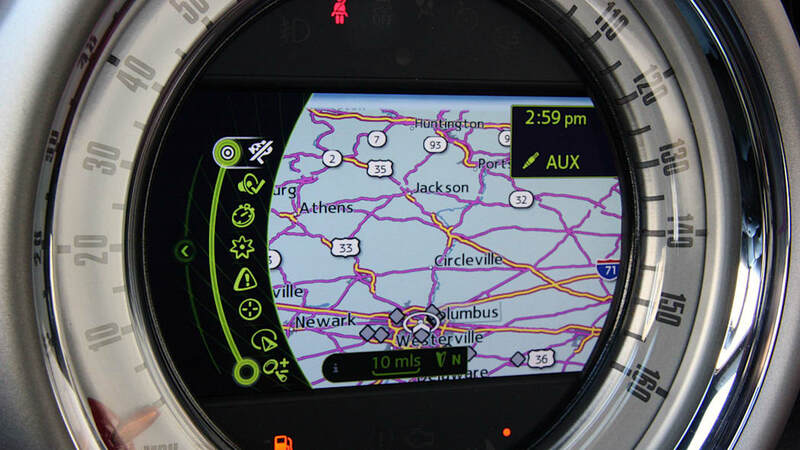 The torque band extends from 1,600 to 5,000 rpm, and we never had to downshift further than normal to elicit immediate acceleration necessary in passing situations. 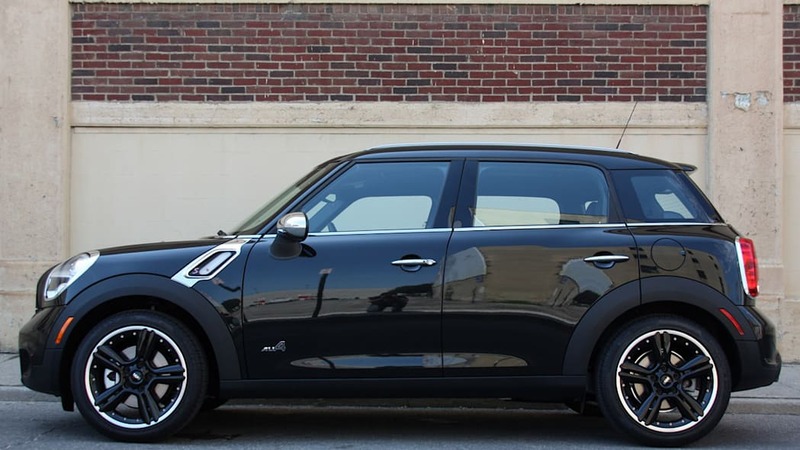 Like the current Minis, the Countryman is surprisingly fuel efficient, too, and though final EPA ratings for North American models haven't been released as of this writing, we easily expect all Countryman models to fall in the high-20s/low-30s range. 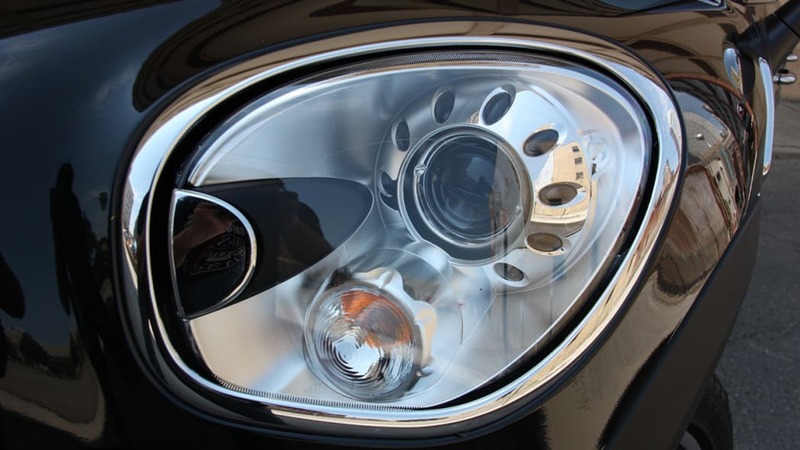 When we first hopped into the Countryman with Mini's McDowell riding shotgun, he told us that the most important part of the development process was making sure that the driving dynamics stay true to what people have come to expect from the brand. 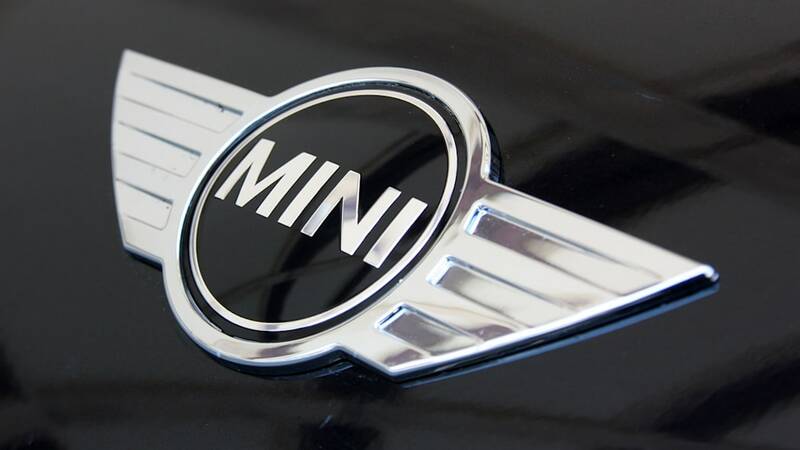 After all, our biggest fear with the Countryman was that it might not be fitting of the Mini badge, and not just in terms of size. 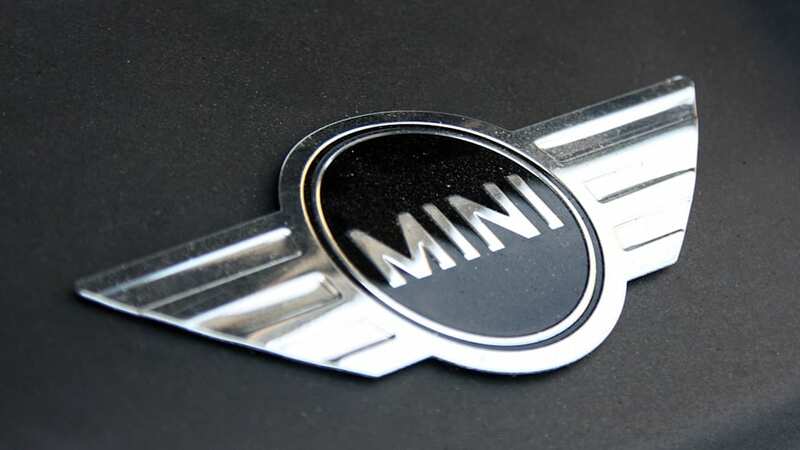 Mini has created some of the best-handling cars on the planet, and its latest crossover – amazingly – delivers. 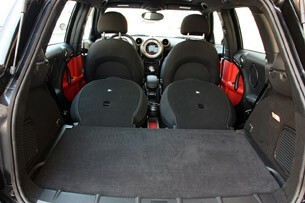 All of the things that we've grown to love about Mini remain in the Countryman, just with a bit of added bulk. 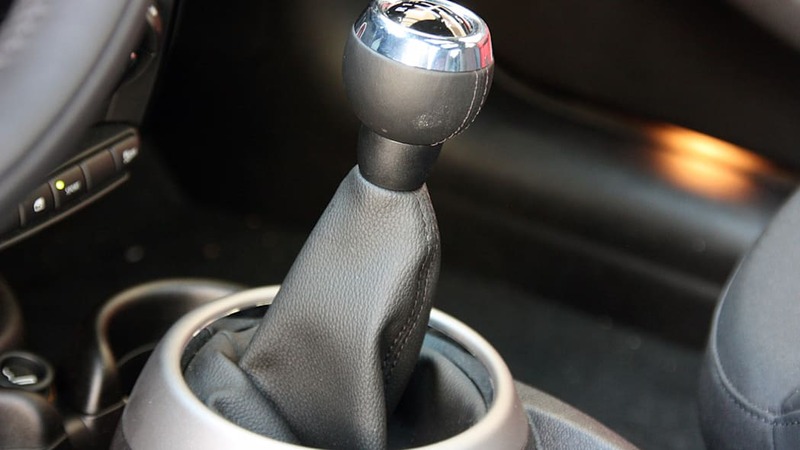 The steering is nicely weighted and has a crisp feel at turn-in with immediate response from the wheels. 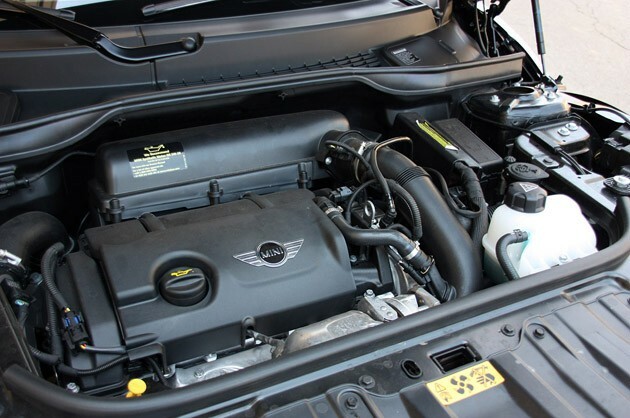 Our All4-equipped tester was actually quite engaging – the torque steer and mild amounts of understeer that we've come to expect from a normal Cooper S are gone. 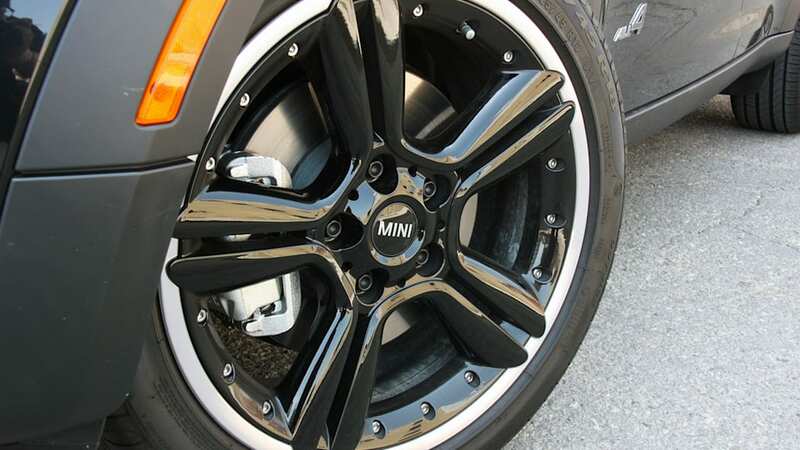 There's a lot more weight being thrown around and the higher ground clearance gives you a slightly more disconnected feeling from the road, but it's easy to adjust to. 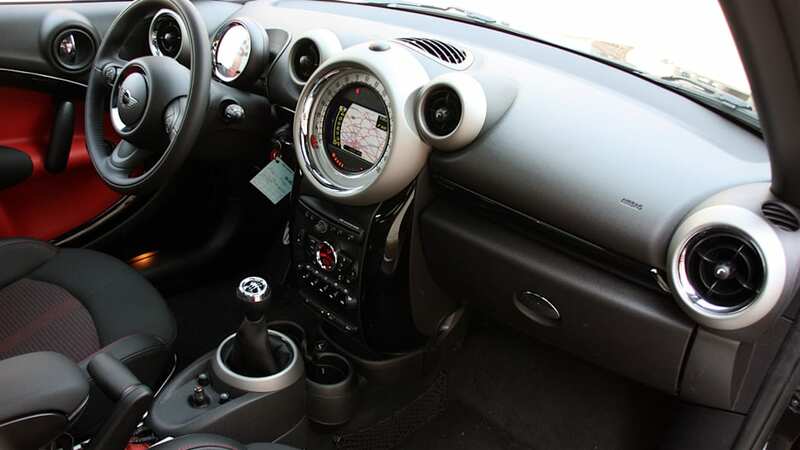 The manual gearbox feels just as good as it ever did in any other Cooper variation, and while the clutch pedal isn't ever spongy or springy, it can begin to feel very heavy after excessive use. 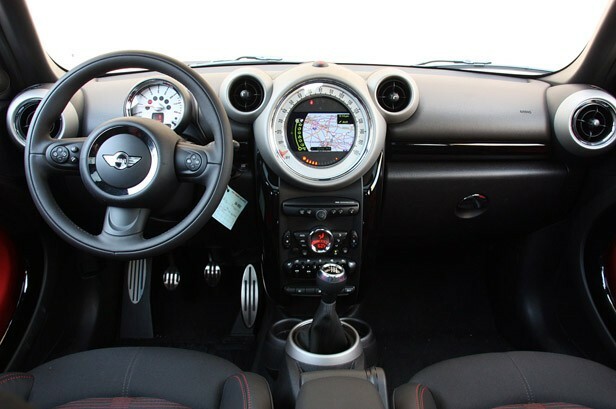 Like all other Minis, the Countryman has a Sport mode that tightens up the steering rack and improves the throttle response to provide a more engaging feel on the road. 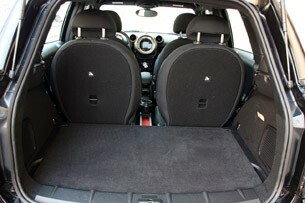 But unlike the smaller (read: lighter) Cooper, the suspension isn't nearly as crashy on city streets or broken pavement, even with the large 18-inch alloys of our All4 S. The Countryman can be had with an optional sport suspension that stiffen things up, but we rather like the standard setup. 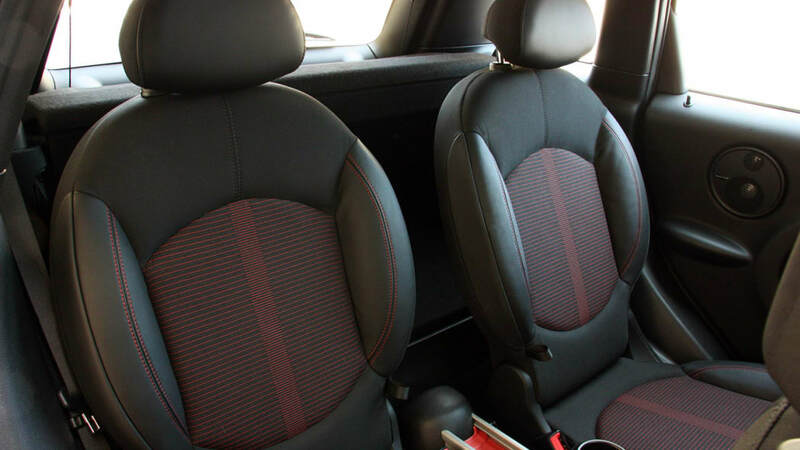 We'd actually prefer to have the normal suspension with the Sport button pushed – the improved dynamics really make it feel more like a smaller Clubman, which not only makes us happy out on the road, but makes us feel better about the Countryman's size. 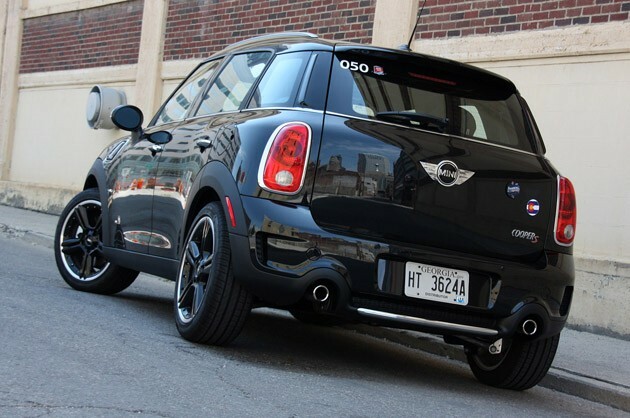 It's far more lively than we ever expected without being too rough for everyday driving. But will it sell? 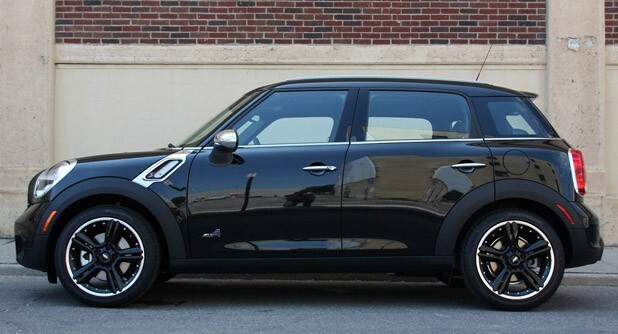 After all, are people really going to look at a Mini dealership for a crossover purchase, and will current Mini owners be willing to size up from the small cars that they've come to love over the years? 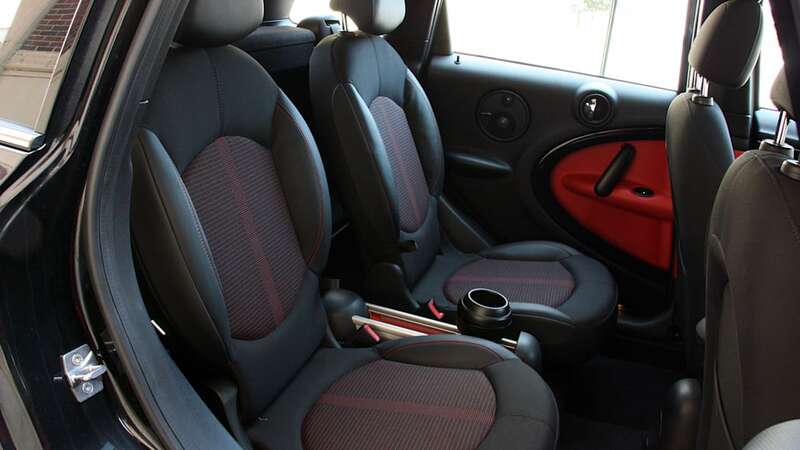 McDowell told us that Mini dealers have had many customers come in for a test drive of a Cooper or Clubman, and while they absolutely loved the car, the one reason why they wouldn't sign the papers was because they simply needed more space. "I have two kids. 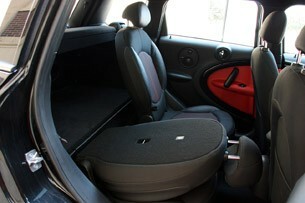 This is just too small." 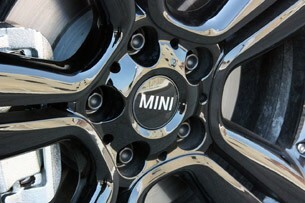 Besides, Mini wouldn't be spending the money to create an all-new model if it didn't think the business case was there. Porsche now sells more Cayennes annually than it does Caymans, Boxsters or 911s. 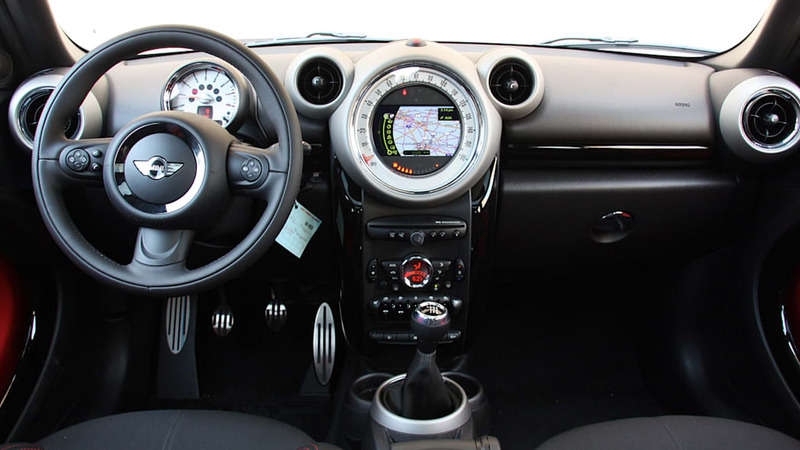 And while the Countryman is a slightly different argument – it's slated to be the most expensive Mini – it's excellent driving dynamics coupled with a functional interior will show the world that Minis aren't so Mini anymore.